Summary from Goodreads: It’s the best of the worst! This hardcover, full-color edition of the popular series loved by parents and kids alike serves up a wild ride through mudslides, volcanos, shark-infested oceans, menacing mountains, and more. Seventy entries are packed with illuminating facts, eye-popping photos, hilarious illustrations, must-see maps, heaps of humor, and step-by-step instructions. Readers will be armed with the knowledge and skills needed to survive anything and live to tell about it! Heather’s Review: I have a first grade son who is a reluctant reader so when he showed some excitement at the school book fair for this book we decided to give it a try. Ever since, it has been his constant companion and only choice for reading time. As a family we’ve learned to come out alive from shark attacks, natural disasters, mobs…you name it. 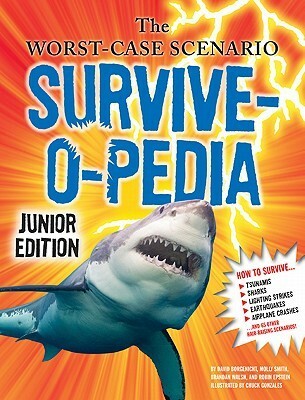 The Survive O Pedia is a great resource for teaching survival skills and emergency preparedness to children with full color photos and easy to read passages. Any book that gets my children asking intelligent questions and coming back for more gets my full attention. I highly recommend it for 1st-6th graders. Author Biography from Amazon: David Borgenicht is the creator and co-author of the best-selling WORST CASE SCENARIO SURVIVAL HANDBOOK series. He is also the author of dozens of other books, including THE STAR TREK BOOK OF OPPOSITES and HOW TO CON YOUR KID. 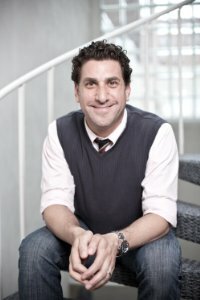 He is the president and publisher of Quirk Books http://www.quirkbooks.com/, Philadelphia-based publishers of entertaining, informative, and amusing fiction and non-fiction.